← Y.A.P. Time!!!! Yarn Appreciate Post: Let’s talk color! Fun Stuff Round Up Returns! Let’s window shop! I used to do these round-ups briefly, but I stopped for 2 reasons: 1) my shopaholic tendencies go in cycles 2) I started feeling pressure to do them regularly, and I hate pressure! Plus, I think that’s what Pinterest is for now, but it’s actually really hard for me to get into Pinterest. I’m pretty slow to adopt a new social-media-related thing, because I find them each so time-consuming! So, I’m bringing back Fun Stuff Round Up here on the blog! 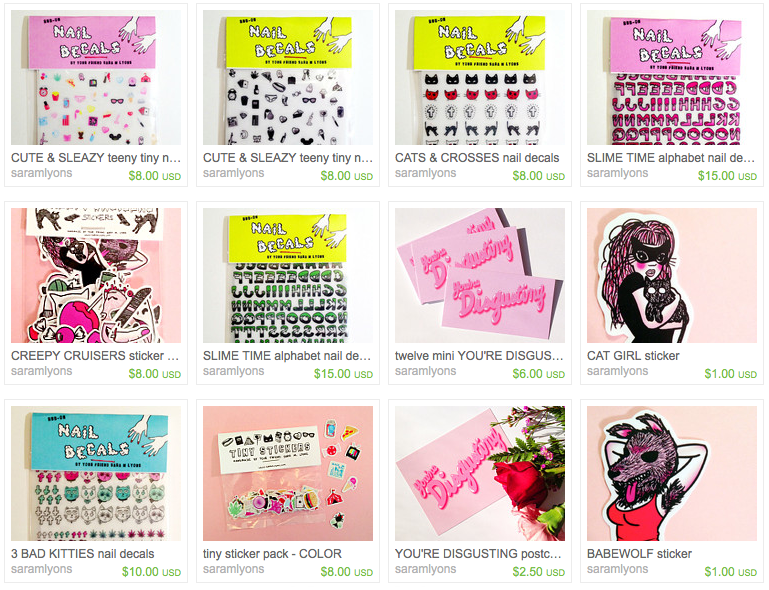 My shopaholism is full tilt right now! Here’s some fun stuff I’ve round up! 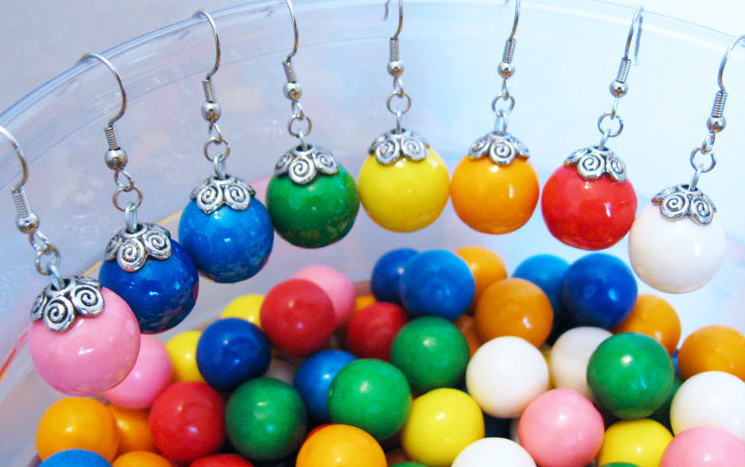 Real Gumball Candy Dangle Earrings by EatWithYourEyes on Etsy. I srsly need a pair of these but I can’t decide which color! 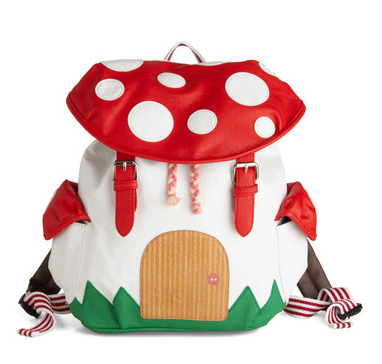 Mushroom House backpack from ModCloth. Are you dying yet? This is so adorables! 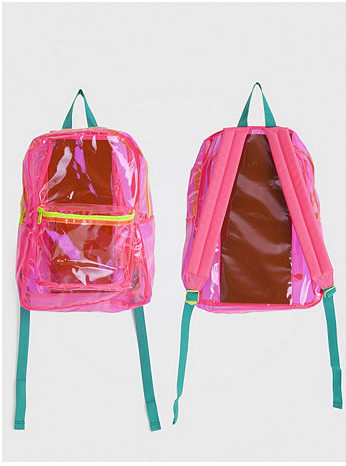 Neon Pink Clear Back Pack from American Apparel. This just speaks to the 90s girl in me! Stickers Dress, Lazy Oaf x Nasty Gal. Lazy Oaf’s collab with Nasty Gal is so super cute! I don’t think I could actually wear a lot of it (no crop tops or bodycon for me!) but it’s just so fun to look at! Cute things by Sara M Lyons! I bought some nail decals from her, but I lost them!! I need to do a deep clean of the craft room to find them! This entry was posted in Blog, Round Up. Bookmark the permalink. 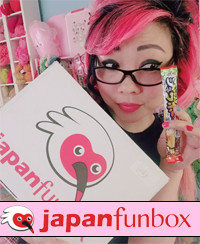 16 Responses to Fun Stuff Round Up Returns! Let’s window shop! YAY! I can’t vouch for how easy/hard it is to apply them, since I lost mine!!!!! But they are so cute! I have never had a clear backpack! I did have an astro turf purse tho! I know!!!!!!!! 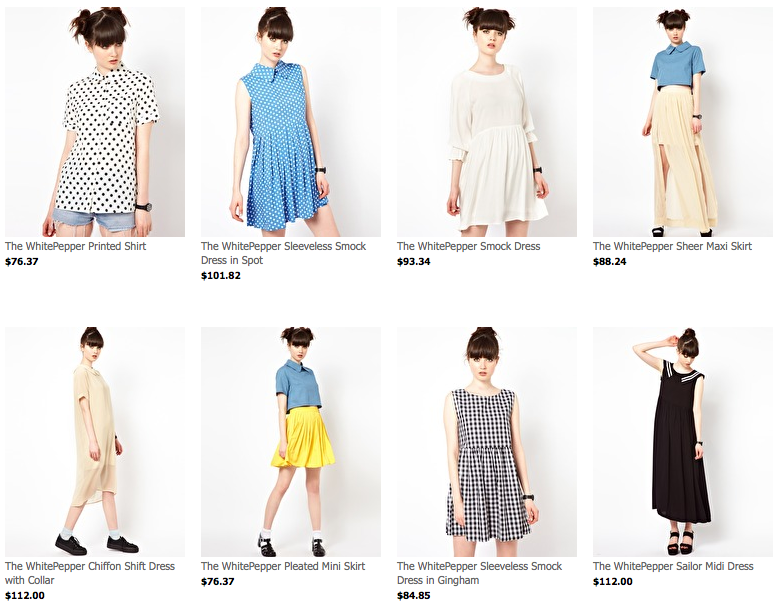 I need everything babydoll or skater dress!!! This bell-bell is for my eyes only! You should get this fruity skater skirt! I love love love love baby doll dresses!! I haven’t warmed up entirely to Pinterest either. Oh well. As for those adorable gumball looking earrings, you would definitely good in pink! Also those nail decals are the bomb! the trick with pinterest is to set it up and then forget about it. stay logged in all the time, then just pin from wherever you are to the appropriate board using the little tag they put on your dashboard. Then whenever you’re like ‘damn, I have some extra moolah and wanna buy a fantastic item of clothing but which one’ you go to your Pinterest board, check out what you pinned, and pick! Of course this applies for everything. 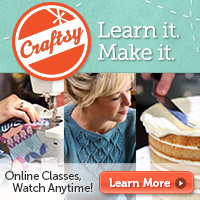 I use it to figure out projects, clothing choices, color schemes, decorations, wrapping ideas…. I am addicted to Pinterest. My username on there is Hannah Thiessen. OMG, I need that pug dress and pink backpack!! !